What Are Benefits Of Capers? The Latin name of gebre herb is known as capparis spinosa. It is a plant that shed leaves in winter and grows permanently. The curves and fleshy leaves of the caper plant, on the other hand, make it a lush plant. Caper Plant is a plant that seems to be shrub with countless branches. Thick, bright and round leaves appear on the stems with a rotating image. The flower of the capers plant is very flamboyant and has a delicious and sweet aroma. The colors of flowers can be white or pink. The division between the numerous purple-colored organs in the middle of the flowers is prolonged and usually exceeds the size of the flower. These buds are usually used in making pickles and mustard. Even a few capers can taste quite great. Therefore, if you want to add a brave vitality to your meals, you can try the caper. When you add capers to your daily food programs, it can be very beneficial to your health. Contain fibers that help digestion. In this case, foods can be eaten by helping digestion without turning into calories. It also relieves some digestive problems, such as constipation. These fibers, on the other hand, are believed to be very effective in reducing the risk of cardiovascular disease. It also helps to lower bad cholesterol in the blood (LDL) because it contains a routine component of capers and helps the circulation of blood vessels. Niacin is thought to be very effective in lowering LDL cholesterol levels. According to science daily, A study concluded that capers can provide protection against DNA and cell damage due to the components it contains. These components play an important role in preventing the development of cancer and heart diseases. Caper Plant is a store of vitamin A that increases the eyesight and protects against certain cancer risks as well. This vitamin fights infections in the same way and strengthens the immune system. 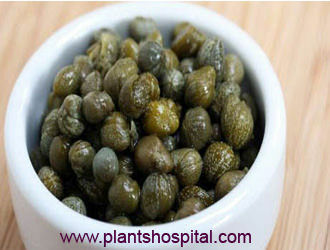 Besides, capers contains vitamin K that protects the body from various infections. The caper, which also affects bone health, plays an important role in the development of cartilage tissue as well as the nervous system. Studies have found that capers helps prevent fat oxidation. In addition, caper plant contains ingredients, antioxidants and vitamin E and reduces the risk of cancer, as well as heart disease risk. Caper is one of the best options in the treatment of skin problems such as acne due to irritation and inflammation that manifests itself with redness. For this reason, many skin care products are also included in the content. As it contains antioxidants, capers can help to delay signs of aging, such as wrinkles and fine lines. Contains a high level of vitamin K. This vitamin, which is important for bone health, can help to reduce the risk of bone diseases such as osteoporosis and arthritis, which are caused by weak bone density. Vitamin B12 is responsible for active and energetic body condition. This vitamin is very large amounts of capers. For this reason, caper plant consumption can help to convert food into energy, so it can help to remain dynamic and active throughout the day. Hair loss can be caused by a variety of factors, such as genetics, heredity, heredity, heredity, and genetics. Vitamin B provides adequate amount of blood to the scalp to flow properly. It is important to remember that hair loss is the most common cause of hair loss in men and women, and it is the most common cause of hair loss in women. 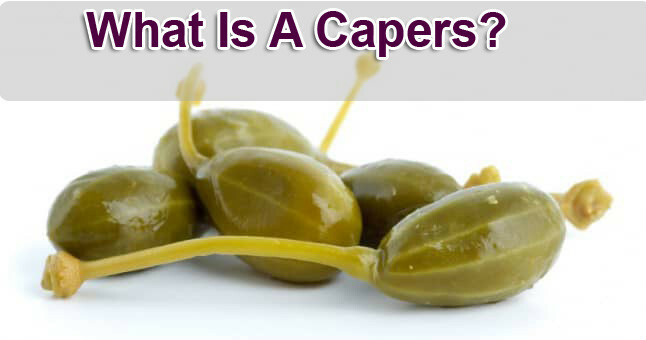 Caper is very rich in routine and flavonoid compounds. These ingredients are also effective sources of antioxidants. Antioxidants are known to prevent free radicals that cause cancer and skin diseases. The routine is helping the blood circulation system properly. Recent research has shown that the curette component has analgesic, anti inflammatory, antibacterial and anti-carcinogen properties. Iron, calcium, copper and sodium. High levels of calcium in it helps strong bones and teeth. Caper Plant combines certain proteins for the production of enzymes as an auxiliary catalyst. Iron stores are very important for oxygen utilization and muscle structure. This is an important part in the production of enzymes that help the body digest nutrients. This delicious plant contains vitamin A, vitamin K, niacin and riboflavin. These vitamins increase vision and help us to feel comfortable even in the dark. It also reduces the risk of developing certain types of cancer and strengthens the immune system to eliminate infections from the body. Vitamin K, on the other hand, plays an important role in bone health. Caper plant is an important material used in Mediterranean and Middle Eastern cuisines. This plant is also used in the production of salad and soups in French and Italian cuisine. 1-) Caper plant is a powerful antioxidant source. 2-) To strengthen the immune system supportive. 3-) Caper plant which helps skin health prevents wrinkling and shows anti-aging effects. 4-) It also has anti inflammatory, anti viral and anti-diarrheal properties that can be treated. 5-) Caper plant contains glucosinolates, glucoiberin, glucocaper, sinigrin, glucocleomin and glucocapagin. 6-) Caper plant contains vitamin P1, which is known as routine. It plays an important role for this chemical Caper plant to acquire therapeutic properties. 7-) Hepatitis C is a liver disease caused by the hepatitis C virus (HCV), which is found in the blood of persons who have the disease. When consumed with food, the caper is considered safe for most people. Since there is not enough information about the use of caper in medical doses, its reliability is not clear enough. May cause skin rash and irritation. Pregnancy And Lactation: Caper is considered safe during these periods when used with meals. As a treatment method, there is not enough information about whether the consumption of large amounts is safe. For this reason, it is useful to take regular amounts with food. Diabetes: Control blood sugar in people with diabetes can affect the capers. If you have diabetes, your blood sugar levels should be checked in case of caper consumption. Surgery: Caper may affect blood glucose levels. Therefore, caper consumption should be stopped at least 2 weeks before the scheduled surgery date. 1) Caper is usually sold in brine. You should keep it in the fridge. Make sure the hood is sold in salty water because it is not sold as dried. 2) The amount of consumption of the hood can vary from person to person. This varies according to the person’s age, health status and other circumstances. There is no limit to the overall consumption of the container.